The J. Crew Bubble Necklace is a great statement piece to own. I have it in yellow and get compliments every time I wear it. 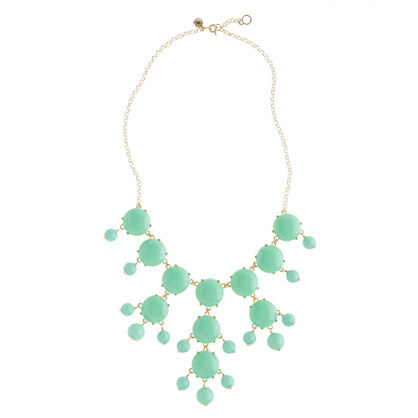 This necklace is great for girls who want to start taking fashion risks because it is bold yet classic. From J. Crew this necklace will cost you $150. Now, if you don't have $150 to spend on a necklace, buy it from ebay. You can get a look alike in almost any color from the link below for a much more affordable $15! *GREAT GIFT: This necklace is an awesome gift idea. If you are going the gift route, I would recommend the $15 version from ebay!